TeliaSonera International Carrier (TSIC) has added 11,500 fiber miles (18,400 km) to its North American network. The addition adds fiber routes from Chicago to Miami and then back up the eastern seaboard to Reston, Virginia. TSIC said its network expansion plans will enable it to reach to 44 American cities while providing diverse connection into South America. The company cited 50 new enterprise accounts this year. Key customer segments include major Internet properties, gaming companies, content delivery networks, and large enterprises needing high-bandwidth across the TSIC global fiber network. "Today’s end users want everything, anywhere, instantly. 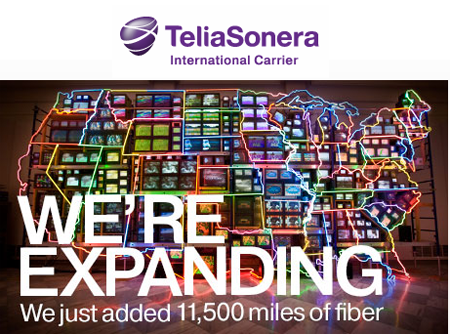 This expansion is about supporting that and the increasing interest for our offering in the Americas," says Erik Hallberg, President, TeliaSonera International Carrier. "In fact, it’s our largest network build-out in the Americas since our first US fiber investment in 2000. It strengthens our global backbone and demonstrates our commitment to be ready to carry the big ideas of tomorrow." TSIC offers a full portfolio of transport, IP, international voice and IPX- based services with customers in 85 countries around the world. “This build is a significant step and our customers will be able to take advantage of new opportunities that come from the expanded reach, increased diversity and optimized performance it delivers. It’s especially exciting for our fast-growing Latin American business” says Ivo Pascucci, Sales Director, Americas, TeliaSonera International Carrier Inc.
TeliaSonera International Carrier (TSIC) is using Infinera's DTN-X platform with Instant Bandwidth capability for its North American network. 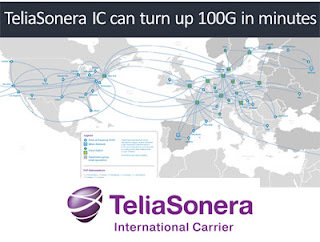 TeliaSonera International Carrier was the first to deploy the DTN-X with Instant Bandwidth. The DTN-X platform enables TSIC to offer its customers up to 100G bandwidth-on-demand across its North American fiber network, which spans 18,000 km and connects 35 PoPs in 23 cities. Dimension Data, which is a division of NTT, launched a set of software-as-a-service (SaaS) solutions that includes hosting and application management services for independent software vendors (ISVs). In a SaaS model, the user only pays for the software when they are using it, rather than buying a perpetual license. Steve Nola, Cloud Solutions CEO at Dimension Data said, "With analysts estimating the worldwide SaaS market in 2015 at more than $20 billion, software vendors will continue to transition their applications to SaaS to remain competitive. We have helped transition hundreds of software vendors to SaaS and, by leveraging our secure and reliable cloud infrastructure, in addition to our deep experience in SaaS hosting and global systems integration, we can offer a full lifecycle of IT solutions for SaaS providers." 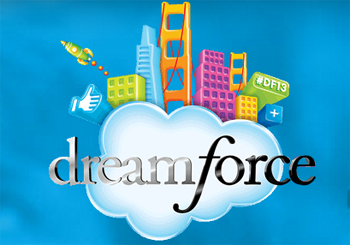 Salesforce.com and HP announced a strategic partnership in cloud computing. The companies will create a new "Salesforce Superpod" -- a dedicated instance in the Salesforce multi-tenant cloud, running on HP's Converged Infrastructure. The companies plan to jointly develop and market the Salesforce Superpod to large enterprises. HP intends to be the first customer to be deployed on a Salesforce Superpod. "The salesforce.com and HP partnership is a breakthrough in cloud computing," said Marc Benioff, chairman and CEO, salesforce.com. "The Salesforce Superpod will allow individual customers to have a dedicated instance in the Salesforce multi-tenant cloud, powered by HP's technology and fully managed within salesforce.com's world-class data centers." Riverbed Steelhead is in the WAN Optimization market, sized by some at about $1 billion and shrinking in the view of some analysts – when looked at from the traditional perspective. But, Riverbed sees elasticity and some resurgence in the market driven by the cloud and growing demand by companies who find they have to optimize SaaS apps, such as Microsoft Office 365 and SFDC, or they simply won’t work. 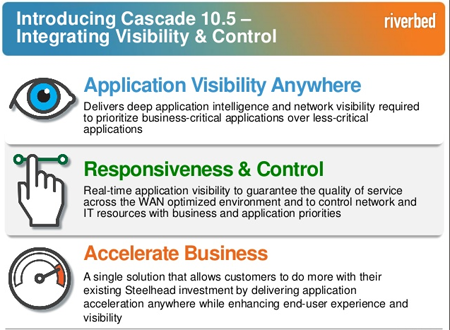 In the Riverbed Performance Management space, the lines between the NPM market (Riverbed’s Cascade product line) and APM market (the OPNET products) are blurring, as companies discover they need both NPM and APM to optimize performance of applications across networks, applications and end-user experiences. The combined Performance Management market is sized at about $4 billion, growing at a 7 percent CAGR. Riverbed also announced a milestone in the integration of its Steelhead wide area network (WAN) optimization product family and its Cascade network performance management (NPM) product family with the introduction of Cascade Profiler and Shark 10.5. Fully integrated Cascade Shark packet capture software into Steelhead. 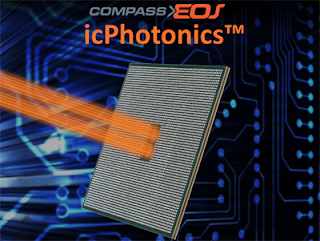 Compass-EOS, a start-up based in Netanya, Israel, raised $42 million in a new round of venture funding for its next-gen silicon-to-photonics-based routers. The company's silicon-to-photonics implementation, which it calls icPhotonics, simplifies router design by bringing the entire backplane on-chip. The on–chip optical integration ensures QoS routing at high utilization rates and congestion-free multicast packet handling. The company's first product, r10004, is a carrier-grade, modular platform offering 800 Gbps Capacity in a 6U enclosure. It offers 2 x 100G ports or 20 x 10G ports with full Layer 3 routing functionality for core, peering or aggregation deployments. Compass-EOS launched its r10004 router in March 2013, announcing the commercial shipment of its icPhotonics-based routers. NTT Communications and major research and education organizations, including CERNET, have successfully deployed the company’s routers. The new funding round included participation of existing investors Comcast Ventures, Cisco, Pitango Venture Capital, Benchmark Capital, Northbridge Venture Partners and Marker LLC with a US-based Private Equity Fund and RUSNANO joining the round as new investors. This brings the total of capital raised by Compass-EOS to $160 million, a record for total funds raised by an Israeli startup. Compass-EOS was founded in 2006 by Michael Laor, who previously was a Director of Engineering and Architecture of Cisco Systems, and Dr. Michael Mesh, who had been a co-founder and CTO of PacketLight Networks. 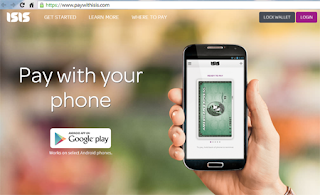 Verizon Wireless officially launched its Isis Mobile Wallet is available nationwide, allowing customers to securely store virtual versions of their credit and debit cards on their smartphones. At launch, Verizon Wireless claims more than 200,000 retail locations across the U.S., including Toys 'R' Us, Jamba Juice, and Coca-Cola vending machines, are equipped with tap-to-pay terminals compatible with Isis. "Isis Mobile Wallet is the next revolutionary feature for your smartphone, changing how you shop in the same way camera apps forever changed how you snap and share pictures, or how Google Maps changed how you navigate in your car," said Jerry Fountain, president for Verizon Wireless in Carolinas and Tennessee. "But Isis is more than just a convenient way to pay. Security and identity theft are major concerns for most consumers, and Isis builds an extra layer of protection around your transactions." CenturyLink's Savvis division announced plans for a new data center in the Toronto region. The 100,000-square-foot TR3 data center will support up to five megawatts of IT load. The data center, now reserving pre-orders, will also receive Tier III certification from the Uptime Institute, signifying high availability through redundancy. The launch date is expected in mid-2014. TR3 will be Savvis' second data center in the Toronto region and fourth in Canada. 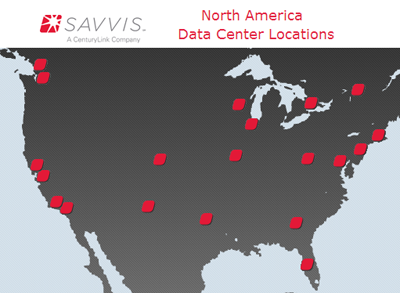 Savvis currently operates 55 data centers worldwide, with more than 2.4 million square feet of gross raised floor space throughout North America, Europe and Asia. Savvis said it expects that up 70 percent of Canadian IT leaders will outsource a majority of their infrastructure to colocation, managed hosting and cloud services within five years. "As we expand our global data center footprint, experience shows our clients expect more than one type of infrastructure service," said David Meredith, senior vice president and general manager, Savvis. "We have designed a broad portfolio to drive greater business value through carrier diversity, interconnectivity and our Savvis ClientConnect service, which lets organizations promote services, drive efficiencies and generate new opportunities with others inside the data center ecosystem." Infinera and Zayo are delivering a one terabit per second (1Tb/s) super-channel transmission capacity in support of the SCinet network at this week's Super Computing 2013 (SC13) in Denver. 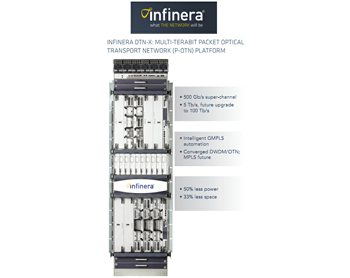 This is the first time 1Tbos of super-channel transmission capacity will be deployed on SCinet’s network, delivered with the Infinera DTN-X platform. Zayo will bedemonstrating the rapid provisioning of 100 Gigabit Ethernet (GbE) services from the show floor in Denver to Chicago. Zayo offers 100GbE services to high-bandwidth customers including research and education institutions, Internet content providers, and government agencies. Infinera is a supplier of multi-terabit transport capacity for Zayo’s 100GbE services. Deutsche Telekom's International Carrier Sales & Solutions (ICSS) division announced its new LTE Diameter Signaling service, which gives customers the ability to roam over 4G networks while travelling internationally. The LTE Diameter Signaling service was made possible through the dedicated IP eXchange (IPX) platform from ICSS. The Diameter protocol solves the interoperability problems caused by the broad range of technologies and infrastructures within the telecommunications landscape and allows seamless roaming across differing mobile standards. Via its IPX network, ICSS can connect its LTE roaming customers with more than 800 mobile networks and over 1 million hotspots for global signaling roaming connectivity. 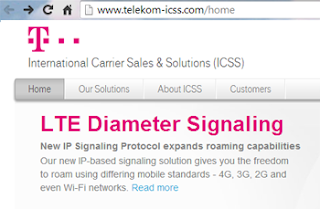 "Our state-of-the-art LTE Diameter Signaling service delivers extremely high-quality signaling services, consistent access to 2G, 3G, and LTE mobile networks, and more than one million WiFi hotspots around the world,” said Holger Magnussen, Senior Vice President, Deutsche Telekom International Carrier Sales & Solutions. “In fact, we are the only global Tier 1 provider that offers an integrated portfolio of cellular and WiFi technologies." 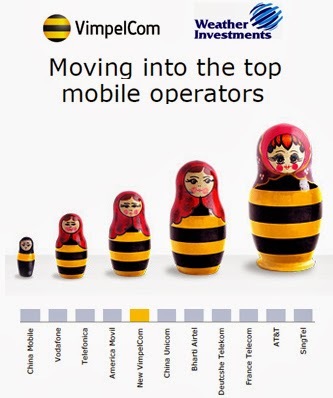 VimpelCom Russia has established a peering interconnection with Deutsche Telekom's IPX (Internetwork Packet Exchange), a next generation network service for the transfer of various IP-based services between operators and different types of service providers (mobile, fixed network, Internet access), both domestically and internationally. 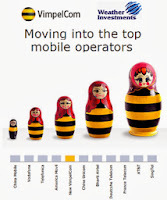 DT said its exchange give VimpelCom's Beeline service the technical ability to connect to other operators faster, thus ensuring Beeline's consumers of worldwide interoperability, reliability, and guaranteed quality of service.